Christmas Fair and Winter Festival at Vörösmarty Sqr. « Celebrate Halloween in Budapest! Date is Not Official Yet! 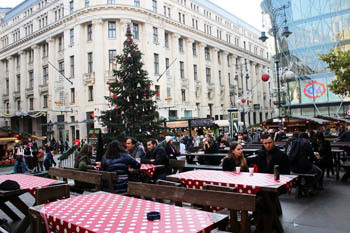 The lovely plaza in the heart of the city turns into a festive market place from early November till 01. January. The location is ideal; the Square is in the heart of the city at the end of Váci utca, right in front of the prestigious Gerbeaud Coffee House. Cottage-style wooden stalls and two outdoor stages take over one of Budapest’s most attractive spots during the couple of weeks preceding the end-of-the-year holidays. You can smell the scent of traditional honey cookies, mulled wine, cinnamon and fir from afar. The fragrant air simply lures you to the market. The fair will be open on 24. 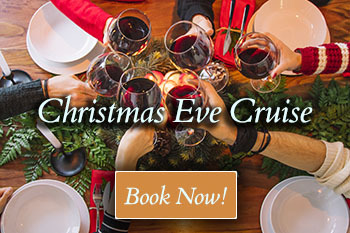 December/Christmas Eve (food: till 16.00, merchants: till 14.00) Christmas Day (25. December: 12.00 – 18.00) and Boxing Day (26. December: 12.00 – 18.00) as well as on 31. December (food and beverage vendors only: 10.00 – 04.00). See exact opening hours below. folk, jazz, blues, soul, crossover, world music concerts, dance house performances entertain visitors to the fair. On weekends puppet show will be on stage; sure to delight families with children. 122 stalls offer high-quality products (selected and approved by special a jury of folk art experts). Entry is free to all programs. TIP: You can pay for food and drinks with debit card/credit card. Rooster testicle stew (kakashere pörkölt) – many locals consider this simple dish a gourmet’s delight and happily have it any time of the day, others shudder at the thought of having a taste of it – you should try, it’s quite nice with a creamy texture in a spicey paprika sauce. A portion is 2 250 HUF. Thematic gastro week await visitors in the Hütte Bistro in front of the Gerbeaud Cafe where you can get to know local cuisine and wines, taste the typical dishes of Hungary and the neighbouring nations. Each week the menu wil be focusing a different theme presented by talented chefs and wine makers. 20 – 26. November – Wild and Game Dishes, Wines of Northern Hungary: venison, wild boar, rabbit served with medium or full bodied red wines. The official Christmas mug of the fair features 3 new designs each year:a combination of red and white colours this year. 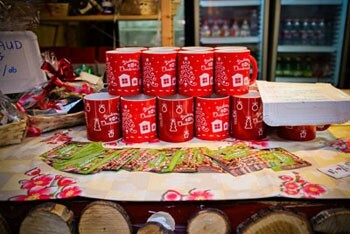 You can buy the mug at every stall that sells mulled wine or hot tea. It costs 600 HUF. You can collect all three if you wish. The Lighting of the Candles on the Advent Wreath accompanied with choral singing will take place on Sundays in the Advent period at 16.00. Kids won’t be bored either. 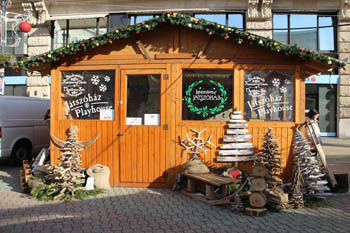 Puppet theatre, music and dance perfromances, craft workshops await families with kids in the heated, wooden playhouse.. They can learn the ins and outs of candle making, beading, basketry, felting, and baking gingerbread. Each workshop will be focusing on a different art & craft project helping kids and their parents preapring for the year-end festivities. fruit garlands and many more. Santa Claus makes a visit on 6th December at 15.00 – 16.00 – welcomes little ones and their parents in his cottage. Toilets – Where to Find them? There are a good number of heated toilets in the northwest corner of the square, behind the centre stage (at the beginning of Harmincad utca). TIP: Many Budapest Hotels are situated nearby, so if you’re staying in one of them the Christmas Fair is just a short walk from your lodging. Find a good Budapest hotel within walking distance of Vörösmarty Square to conveniently explore the festive market. Includes luxury, 5-star hotels should you wish to indulge during your city break, and quality budget accommodations if you want to save on your travel. Note: Date is Subject to Change! 08. November 2019 – 01. January 2020., Craft Fair is Open till 29. December, Food & Bevearges till 01. January. 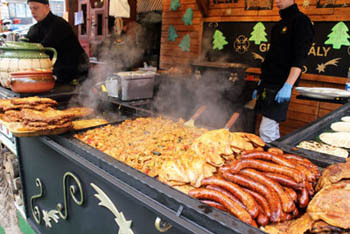 On this year’s Christmas Fair you can taste a wider selection of traditional Hungarian foods and cakes. kürtös kalács (hollow, cylinder-shaped pastry from Transylvania in origin with different coatings: caramelized sugar, ground walnut, coconut or chocolate). baking kürtös kalács – a cylinder shape pastry baked over open fire then coated in ground walnut, coconut, sugar, or chocolate. Try the bread pizza – called lepény – (a square shaped, flat bread baked in clay oven or traditional stove, topped with sour cream, bacon or sausage and cheese) if you do not want to have a full meal (it costs 900 -2 500 HUF depending on topping). lángos: with all imaginable toppings from sweet (Nutella, fruit jam) to savoury: (plain salted, sour cream, cheese, sausage bacon, vegetarian) Price varies between 900 – 2 000 HUF. Thie local street food, lángos a yeast-based round batter deep fried in oil is available at almost every corner of the fair. 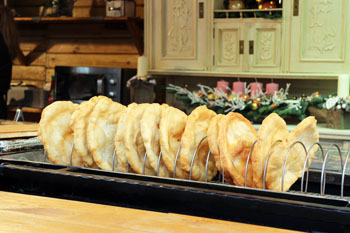 You can even learn to make it at the Lángos/Hungarian Flat Bread Workshop & Store locate dat the Váci itca end of the fair. TIP: Krampampuli is a traditional Hungarian punch drink, here’s the recipe: put raisins, figs, dates, dried, plums, candied orange peel in a large bowl, place an iron crate over the bowl with a large loaf sugar on it. Sprinkle the loaf sugar with cane rum (around 0.5 litre). Light the alcoholic sugar then wait until all the alcohol content burns and the melted sugar drips in the bowl. Then pour around 2 litres spicy mulled white wine, 1 liter tea, and the juice of two oranges and lemons into the bowl. Cheers! You can sip spicy mulled wine or other hot drinks from special mugs different in design every year. The famous Gerbeaud Confectionery used to have an Advent Calendar in its windows. The pages turned over day by day, each day a decorated window opens at 17.00. As in previous years a small Bethlehem will come alive on the square with a crib and live animals. Besides the 15-m high Christmas fir, the light of the Flame of Peace brought by scouts from the Church of Nativity in Betlehem greets visitors of the festive market. Joulupukki, the real Santa from Finland, awaits kids from 15.00 till 16.00 on 6th December in his little cottage at the stage in front of the Gerbeaud Cafe. The Budapest Christmas Fair at Vörösmarty tér is one of our favourite event in winter. Even if I don’t intend to buy anything, I like to stroll among the stalls, have a glass of mulled wine and view some of the cultural programs on the outdoor stage. I usually end up buying something special for one of my loved ones. Planned Date: 22. November 2019 – 01. January 2020. The one in front of the St. Stephen’s Basilica is the next most-visited Christmas market in Budapest. a wide range of gifts are the main attractions of this Xmas bazaar. The Christmas Market by the Basilica is open on December 24: 10.00 – 14.00 but closed on December 25. & 26. 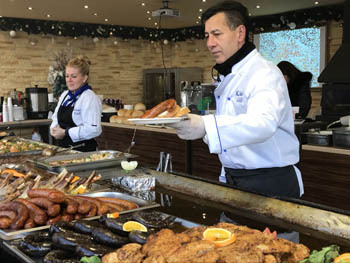 There are also kürtös kalács, strudels, mangalica products (mangalica is a unique breed of pig indigenous to Hungary) and a variety of other souvenirs to choose from. The street is packed with big name designer shops: Furla, Massimo Dutti, Boss, Nanushka, Mexx, Lacoste so you have lots of shopping options. The street ends with a Starbucks cafe if you wish to have a hot cup of Gingerbread latte. Bakáts tér (Ráday Street in District IX.) – a decorated fir tree in front of the Church marks the place of this small fair. Óbuda’s Main Square and the neighbouring arae alos turns into a festive whirl with craft fair, ice rink, gastronomy, drinks, concerts and family programs: Planned Date: 29. November – 22. December 2019. See our full round-up of Christmas Markets in Budapest. 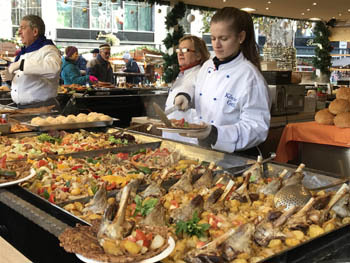 Related: Budapest Season by Season – Christmas in Budapest – Hungarian Christmas Recipes – New Year’s Eve Party on the Danube – New Year’s Eve in Budapest – More Programs in December 2019.